It’s hard to find a good eye make up remover that says its gentle but does the job! This is one of the best that I’ve come across. I picked this up and didn’t expect much. I just had a very bad experience with Almay makeup remover pads. They stung my eyes so bad that I wanted my mommy. I thought I was going to loose an eye. Anywho….I grabbed a cotton ball and opened this remover up and went for it. I was pleasantly surprised. It’s not really greasy (I hate that!) and removes my long wearing eye makeup really well! I would say for the toughest liners and mascaras you might need to hold the cotton ball over your eye for a few seconds but seriously this stuff does a great job for contact lens wearers like myself. I don’t have particularly sensitive eyes but with so many products I’ve found out the hard way that I picked up the wrong thing. Makeup removal shouldn’t hurt right? This remover doesn’t have a scent. I love that. Using scented face products worries me. It’s so gentle that when I get some in my eyes it doesn’t make me cry or sting the hell out of me. Fantastic! I’ve seen this remover at Ulta and Walmart as well as the regular drugstores in my area so its all over the place. I really love my high end removers like Philosophy Just Release Me and Mally’s Dual Action Make Up Remover because they work really well. But this Rimmel remover is so much less money and by holding the cotton ball over your eye you can really get your makeup off and not cause yourself any discomfort. That makes this something I will continue to buy. 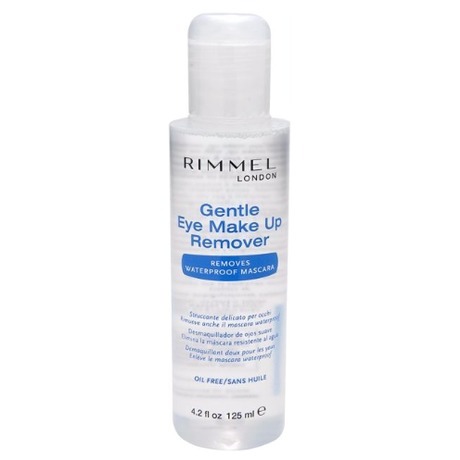 Have you tried Rimmel London’s Gentle Eye Make-Up Remover yet? Let us know and if not do you have a favorite eye makeup remover? Do tell! I haven’t tried this yet. I’m still working on a container of Bare Minerals MU remover. I agree with you about holding the soaked cotton over the eyelash/liner area for a few seconds before trying to swipe anything off. Much easier to let the product do its job before you start tugging away at your eye area skin. Almay gentle? Not for me either. I didn’t get a stinging sensation but I couldn’t get that stuff off of my eye area and my eyes watered for hours. Sensitive aren’t we? I love the BE remover. 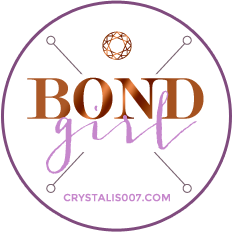 I got a sample size last Christmas and loved it! I have a double pack of the Almay Moisturizing remover pads. I was so excited to get so many and I’m using up my second pack and hoping I don’t loose an eye! Maybe I do have sensitive eyes lol! I’m so attached to the neutrogena make up remover wipes but I hate the wet feeling afterwards. I figured I couldn’t have it all so I just stuck them. I’m definitely try this out. On coupons.com, their is a $1 off coupon for Rimmel products. Love it saving a $1 makes this a really good deal!